Ennov’s unfied compliance platform is a highly configurable software architecture that combines a common and engaging user experience (UX) with business process management, document management, data/forms management, learning management and business intelligence to form the foundation on which our applications are constructed. As a result, our applications are natively connected and do not require integrations or interfaces to facilitate interoperability. A common, harmonized and configurable data model eliminates redundancy and ensures data accuracy and consistency across all applications. Because all applications share a common UX, users can focus on completing their assigned work and not on mastering the nuances of multiple specialized systems. Common activities such as navigation, searching, item creation and task acquisition are performed identically – regardless of context. This unified and ubiquitous approach results in higher user adoption rates, lower training requirements and overall increased productivity. Having a common, centralized and unified platform that is robust enough to support the diverse information management workflows from the earliest stages of research and development through market authorization is a common principle shared by companies striving to accelerate product release. These companies also understand that adopting a platform-based solution will help them drive harmonization, improve collaboration, ensure compliance, reduce costs and compete more effectively in global markets. Ennov’s compliance platform is comprised of leading-edge Enterprise Document Management, Business Process Management, Learning Management and Business Intelligence software modules built specifically to meet the information management needs of pharmaceutical, biotechnology, medical device, animal health and other highly regulated companies. Ennov customers benefit from platform-wide updates that provide cross-application benefits with no additional costs. 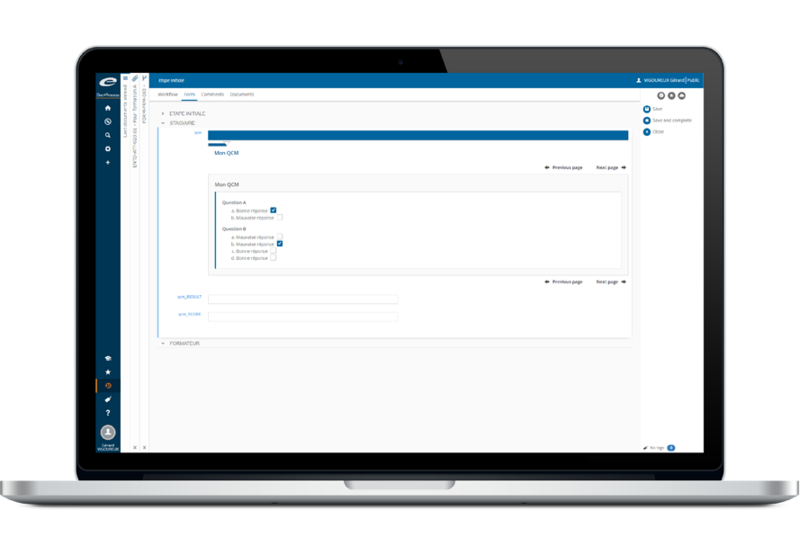 The Ennov compliance platform is 21 CFR part 11 compliant and open to integration with other enterprise applications through its robust REST API. Ennov is 100% web-based, highly scalable, highly secure and can be deployed in the cloud or on premises. Ennov Doc is a robust and comprehensive EDMS that consolidates disparate documents and processes into a single, unified repository. Ennov Doc’s metadata-based document model is flexible, easy to configure and adaptable to your company’s organizational needs. 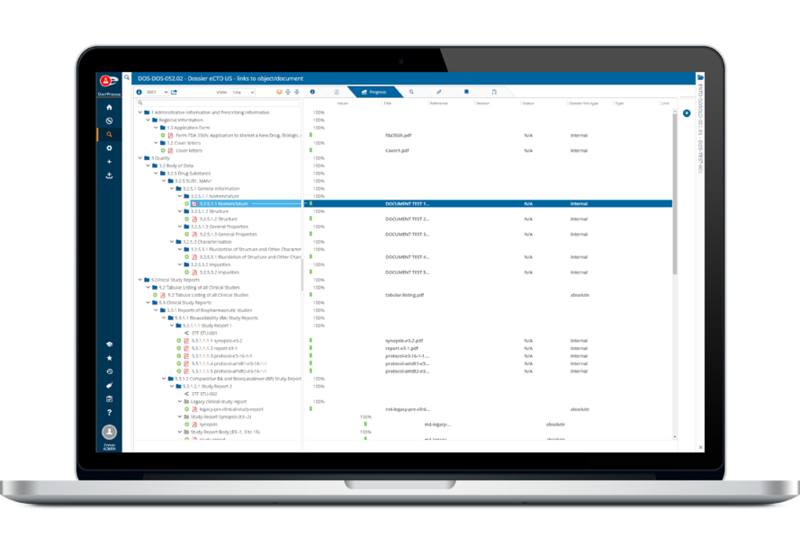 With Ennov Doc, the complexities associated with managing document versions, approval cycles and distribution processes are eliminated. As well, Ennov Doc’s connectivity to Microsoft Office 365 and Google Drive promotes collaboration, improves user adoption, and accelerates return on investment. Ennov Doc’s highly scalable architecture supports the management of large volumes of documents and users – making it the perfect solution for global deployments. 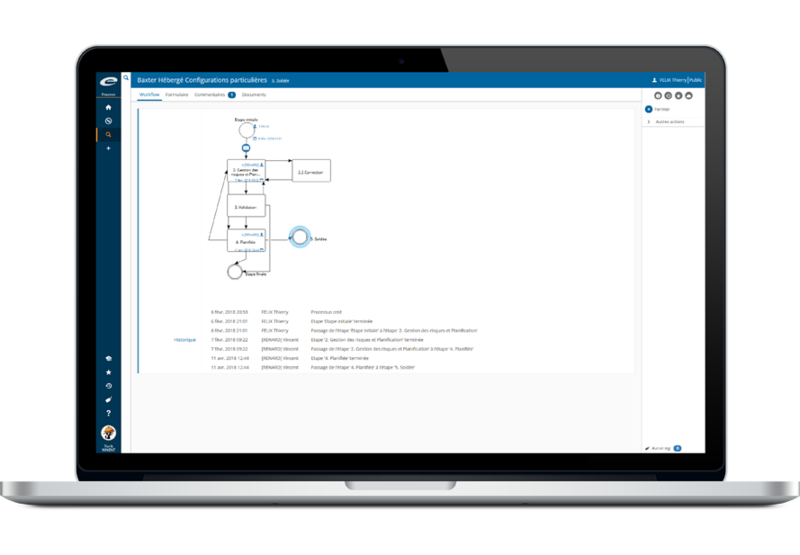 Ennov Process allows you to automate your business process workflows to enforce the event sequence, workflow participants and business rules defined by your standard operating procedures. Processes that deviate from the defined path or remain stalled for months become a thing of the past. Ennov Process has a flexible, contemporary user-friendly interface and is fully configurable to meet the needs of diverse organizational structures and their associated processes. The process form associated with each workflow retains the information needed at each process step. Each workflow participant has the information needed to complete their task in the proper context. Email notifications and escalations ensure that no process step becomes stalled. Now anyone can follow any activity, track pending or completed tasks and monitor participant activity to eliminate bottlenecks and avoid delays. Ennov Report includes powerful yet easy-to-use reporting and visualization capabilities that capture the metrics required to produce key performance indicators from the data stored within Ennov applications. 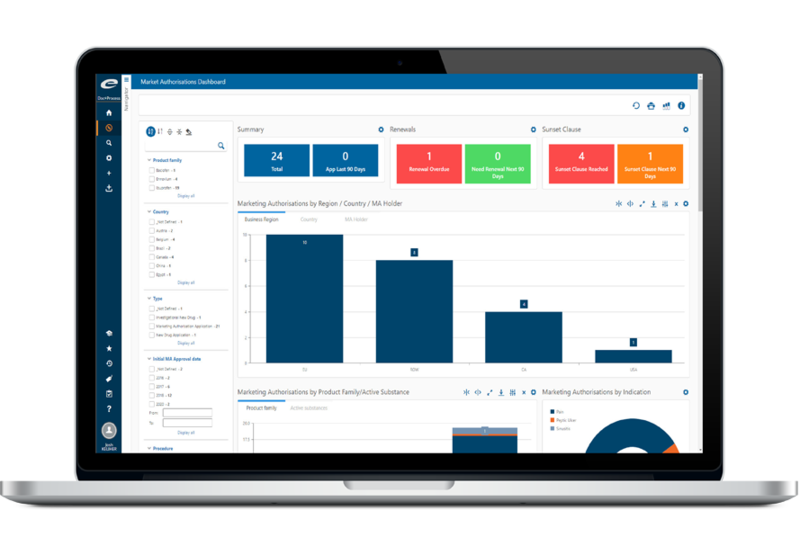 Reports and dashboards are managed natively within the platform and as such, they are easily accessed by Ennov users through the same common interface. Ennov Report’s Datamart feature provides comprehensive access to the information managed in the different Ennov applications. As well, Ennov Report includes a feature-rich visual display library with a wide variety of graphical components to help you design the most attractive reports and dashboards. With Ennov Report, the focus is on strengthening your strategic decision-making while ensuring the information being managed on a day-to-day basis is presented in a more meaningful and useful manner. 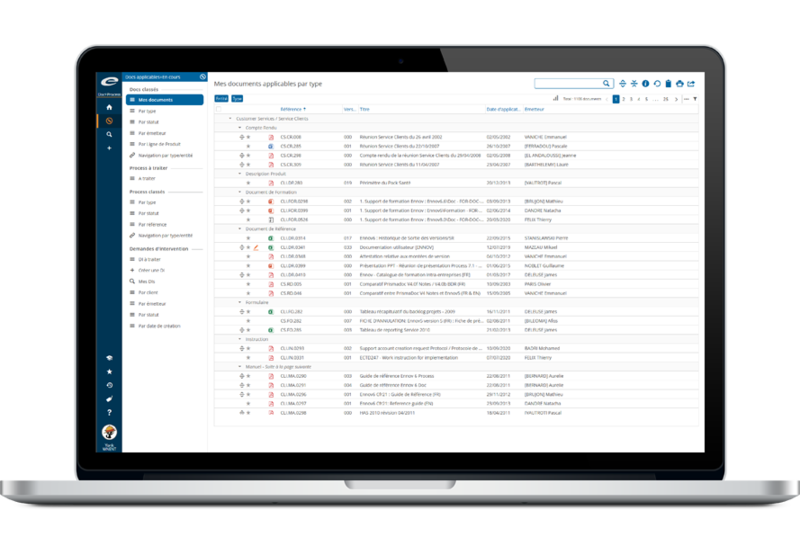 Ennov Dossier supports the creation of both electronic (eCTD, NeeS, VNeeS, eCopy) and paper regulatory submissions through a single, common user interface. Ennov Dossier is 100% web-based, making it the ideal solution for multi-site or global deployments. It has easy-to-use submission assembly tools with controls designed specifically for the capture and management of eCTD metadata. Publishers can drag and drop documents stored in Ennov Doc or any WebDav repository quickly and easily into the submission assembly. Submission assembly templates are provided for the regions that accept eCTD submissions and can be modified to meet your specific needs. Ennov Dossier is a comprehensive and scalable submission publishing solution that is suitable for operations of all sizes and produces output that is complaint with all current regulatory agency requirements. Ennov Training is a purpose-built Learning Management solution that is part of the Ennov compliance platform. It allows Quality, Human Resources and Department Managers to build flexible training programs, monitor compliance, evaluate staff proficiency and maintain inspection-ready training records without a heavy administrative burden. Manage the required training curricula by profile or function within your organization and designate the sessions or modules relevant to each person or role. Accelerate and monitor the on-boarding of new employees through tailored learning programs. Have confidence that your employees’ professional skills have been verified and comply with your quality standards and industry best practices (e.g. ISO, GxP). Specify how each person’s training is verified using a basic “read and understood” process or a more sophisticated proficiency assessment complete with a multiple choice questionnaire.